I have never come across any company that applies the rigor and discipline to solving the probation period problem the way AudioBooks does. 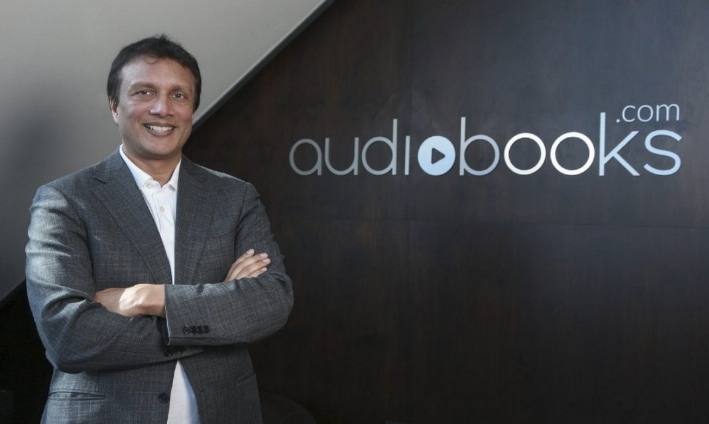 An interview with Sanjay Singhal founder of AudioBooks and Venture Partner at 500Startups. How Sanjay ended up firing 2 of his 6 senior executives (a 3rd one quit) after reading the Five Dysfunctions of a Team. How the streaming model helped increase Audiobooks' revenues from $6m to closer to $30m in five years. Hiring the wrong person into a start-up company can be disastrous. The average time it takes from the start of a senior executive search assignment, to the candidate joining the company is 3 months, and that’s assuming that the candidate only requires a one month notice period, not three or six. Start-ups have a limited runway of cash that they can burn, so they don’t have the time or the financial resources to hire, fire and hire again. Investing 3+ months of internal meetings to agree and write up the job description, and then holding and reviewing candidate interviews to eventually hire the wrong executive happens more often than it should. Making the wrong hire is costly from both a time and money perspective and just as importantly, it can have a hugely negative effect on the morale of the team and the culture, especially so if you take too long to remove the person. The aim of a well-structured hiring process should be to attract the right candidates and to filter out the wrong candidates - with as little human input from the company as possible. Smart companies invest the time to write their job descriptions and job ads in a way that encourages candidates who fit into their culture to apply, and discourages the candidates that don't fit from applying. Companies that are ahead of the curve and really get it are utilizing values based hiring to ensure that candidates with the right skills and experience also fit the CulturalDNA of the company. Still, it is possible for someone who has the right skills and experience and looks and sounds like the perfect CulturalDNA match, but isn’t, to slip through the net. If this does happen, what does the company’s management or hiring team need to do to spot whether the wrong person has been hired? If the person is going to poison your culture... then you have to fire them immediately. Most companies will try to give the person a chance, see if they might eventually, hopefully manage to gel with the team, which simply delays the inevitable. If the new hire is in sales or marketing and actually starts to get some traction the decision to fire will be delayed even further. This shouldn’t be allowed to happen. Ever! If the person is going to poison your culture – and if they don’t have a strong match to your CulturalDNA they undoubtedly will – then you have to fire them immediately. In my 15 years of executive search experience, I have never come across any company that applies the rigor and discipline to solving this problem the way AudioBooks does. I interviewed Sanjay Singhal, the founder of AudioBooks and Venture Partner at 500Startups, about his experience with founding AudioBooks, with building out the company’s culture and using the probation period to ensure that either a new hire is right for the company or the wrong hires are ejected quickly and efficiently. I founded the business 13 years ago when we started off selling physical CDs into the audio book market. The challenge then was that you had to deliver 6 to 10 CDs per audio book, so we had to develop custom packaging, negotiate a special fulfillment deal with UPS and set up warehouses in Buffalo and Las Vegas to deal with distribution. We raised some angel investment and grew the business to $6m (all figures $CAD) in revenues by 2010. Then we saw what Netflix was doing with TV and movies and decided to build the same streaming technology for audio books. I bought the domain www.audiobooks.com, we implemented the technology and the business skyrocketed. We have achieved double digit growth over the past 5 years are now doing closer to $30m in annual revenues. What is unique about your hiring process? Our probation process is unique, it’s very difficult to get through and I don’t know of anyone else doing it the way we do. On average 30% of the applicants don’t make it through the 3-month period. If the interview stage of our hiring process has failed us, we are able to rectify it during the probation period. We are looking for spectacular people and one of the things that our team value is that they know they don’t have to work with idiots. We have over the years managed to hire and develop the excellent team we have in place now, thereby setting a high bar for the future and we want keep the bar high. During the 3-month probation period we hold 2 anonymous surveys, one after the first 6 weeks and one just before the end of the probation period. After 6 weeks we do a standard NPS asking everyone whom that person has interacted with on the team how would they feel if this person decided to work for a competitor? Would they be upset or shrug their shoulders and think so what? The NPS results inform the probation candidate’s manager of how the team feels about them and gives the senior management a feeling for whether the person is going to make it or not. The manager meets with the person on probation and gives them the feedback from the NPS test and if necessary will tell them what they must work on and improve over the next 6 weeks. However, a leopard rarely changes its spots, so in most cases we know at 6 weeks whether the person will make it or not. How would you feel if you were stuck in airport for 5 hours with that person? How would you feel if the person went to work for the competition? How much would you trust them to look after your child/pet? As the question is asked each person writes a number between 1 and 10 on the cue card and then shows everybody what they have written. Using this method we socialise the result and if you disagree then you have the right to say why you disagree or you can ask someone who has given a low score why. No one can say that they weren’t asked or didn’t get the chance to have their say. This works really well, in some cases too well from my point of view. I have had the group overrule me on candidates I liked and really wanted to hire. You can see the value of process as the team, who have all progressed through the same probation period format, take this very seriously. We also do a similar review after the employee has completed 12 months and 5 years with the company. The 5-year review is held for two reasons. Firstly to make sure we aren’t being complacent and just accepting someone because they have been with the company for 5 years and secondly because the Canadian law mandates that severance pay doubles after someone has worked at a company for 5 years. Are there times that the final meeting isn’t necessary? Occasionally, when you have an exceptional candidate, there is no need for extensive discussion, but we do hold the meeting to make sure that there are no hidden issues. Your business distribution model changed from physical distribution to streaming, how did that come about? The transformation came about when we had our first blue ocean strategy session. We looked at the 12 attributes of our business - product selection, customer service, tech offering, supply chain management, customer service etc. and mapped these out against the competition to find a gap in the market that our competition hadn’t attacked. Through the process we realized that our biggest competitor did not have a strong tech capability, which was when we decided to launch the Netflix model. When did you start to think seriously about defining the company culture? In 2010 I brought the senior management together to go through a planning and strategy exercise. We had this new technology platform and a new method of distribution so we needed a new strategy, which would include a new mission, vision and goals. My HR Director was a big fan of cultural development and she convinced me to implement the cultural definition plan. We used a consultant to facilitate the process and one of the things that was highlighted was the very strong belief system in the company. Looking back I actually think we spent too much time working on our vision and mission, as our belief system was so powerful that it came to define our culture. We went through a number of exercises with the management team and the company, discussing what was important to us and what we believed in. We used post-it notes to stick the words and phrases up on the walls and the white board and then simplified them down to 10 beliefs. We started out with 10 beliefs and narrowed it down to 4 core beliefs, which we narrowed down further to 3 core beliefs. Over the past 6 years we have worked really hard on embedding them thoroughly into the company and for the most part, we don’t have to think about them anymore, they are part of the company and us. We didn’t have to define “Excellence” as a value because if you measure and experiment continuously, you can’t help but be excellent. How do you measure individual performance? We do performance reviews every month. The team leader will discuss, with each person in their team, how they are progressing against the 3 beliefs, and discuss specific action plans on how to improve if they are not achieving. The Measure and Experiment belief has been the hardest to get right. For example our facilities manager came to me and asked what he should do to Measure and Experiment because he runs the facilities and they run just fine. I personally felt that the warehouse was too cold so I suggested that he test whether the temperature in the office was at the right level: why not, I suggested, increase the temperature by one degree and then do a survey? Then increase the temperature again by one degree and do another survey. I explained that he would know he was reaching the right temperature when he got the same number of complaints on the too-cold and the too-hot side. Another example, if you were looking to measure your team’s morale, would be to leave some rubbish on the floor and measure how long it takes someone to pick it up. Pride in one’s workplace is a demonstration of the employee’s morale. There is no job that you can’t measure and experiment against and if you do, you will keep getting better and achieve excellence. It took us years to get Measurement and Experiment built into the company, to convince the executive team that it was possible and that the end result would be positive. Fortunately we stuck to it and the results have demonstrated that it can be applied across company. I get a report every month of the list of experiments each department has performed as well as the measured outcomes from those experiments. The report gives me a fascinating insight into how the company is progressing towards excellence in the different departments. 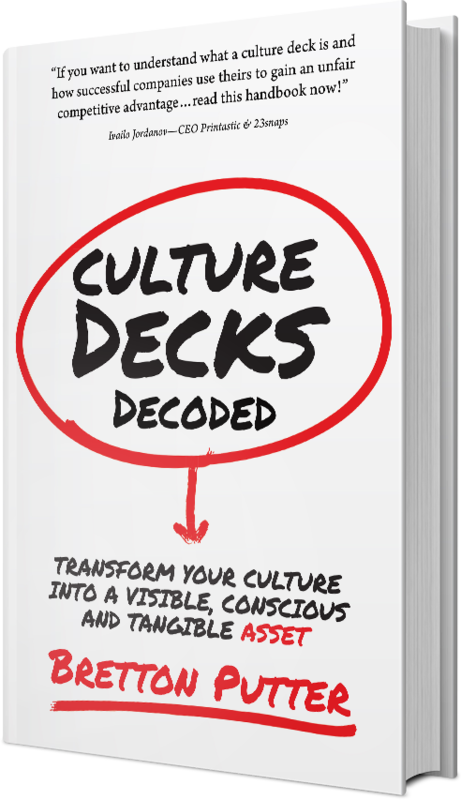 What have you done to get a better understanding of how to define and implement culture at Audiobooks? I’ve read a lot about culture, starting with the Zappos and Netflix online culture documents, which gave me a good framework from which to think about culture. Some of the books I have read have had an immediate impact on our business and the way I managed the team. I read the Gallup Strengths Finder book, which helps you find your top strengths out of 32 possibilities. I got the team to read the book and fill out the survey to understand each of their strengths and which were their top strengths. According to Gallup, people who use their strengths every day are six times more likely to be engaged on the job. Teams that focus on their strengths are 12.5% more productive. While I was CEO of the company I had an assistant whose top strength was context. She had a natural understanding of how things fit into the bigger picture. After we got her results from the Strengths Finder survey I changed my communication style and started to be more comprehensive explaining as much as I could to her about each situation. Giving her more detailed context of the situation helped her do her job better, which in turn helped me. I changed and adapted my behavior because of her strengths. I read the Five Dysfunctions of a Team by Patrick Lencioni, which was truly fascinating. Building a business is all about trust. Any absence of trust lies with team members being unable to show their weaknesses; to be vulnerable and open with one another. The absence of trust is a huge waste of time and energy as team members invest their time and energy in defensive behaviors, and are reluctant to ask for help from – or assist – each other. Teams can overcome this dysfunction by sharing experiences, demonstrating credibility, and developing strong insight into the unique characteristics of team members. It turned out that we had serious issues with trust at the senior executive level that I had been unaware of, and this was having a real impact on our growth. The result of reading the Five Dysfunctions was that I ended up firing 2 of my 6 senior executives and a 3rd one quit. We now have a much stronger, more cohesive (and happy) executive team. What is your approach to hiring and firing? Overall you could say that the business has incredibly high standards and that means that I generally fire people who don’t match our standards and live up to our beliefs. I believe that if you don’t act quickly any negativity or cultural mismatch will spread across the company like a cancer and destroy all the good work that you’ve done over the years building it. This high standard goes for everyone in the company, our executives are subject to anonymous employee reviews and I will fire an executive immediately, if two or more people corroborate on a serious lack of living up to the company beliefs. Which have been your most difficult departments to hire for? Customer service has always been a problem area. We have a very flat company structure and the people at the junior level didn’t see a promotion path open to them, so they would leave after a relatively short time. We had to add a series of salary bands, internal promotions and different job titles to give them the ability to progress up the ladder at the company. What culture building exercises do you run throughout the year? We do two retreats a year, one with the executive team and one that includes the junior management. We run a four-day intensive program and a one-day refresher using a SWOT analysis as the basis for the sessions. We used to hire a facilitator in the early days but then realized that we could do it ourselves. What company perks do you offer? We created a bunch of Silicon Valley style benefits for our team, unlimited vacation, massage, haircuts, free food, video games, foosball etc. About three and a half years ago we had over expanded and I had to lay off a bunch of people. We didn’t deliberately fire the people who were playing video games and foosball, but what is interesting is that after the lay off no one has gone back to playing video games or foosball. The games are still there and available, but the most engaged members of the team don’t care and aren’t interested in using them. They are handy to use as part of our recruitment sales pitch and if our people want to let off some steam in that way they always can.